HONEYMOON BAY HERITAGE! 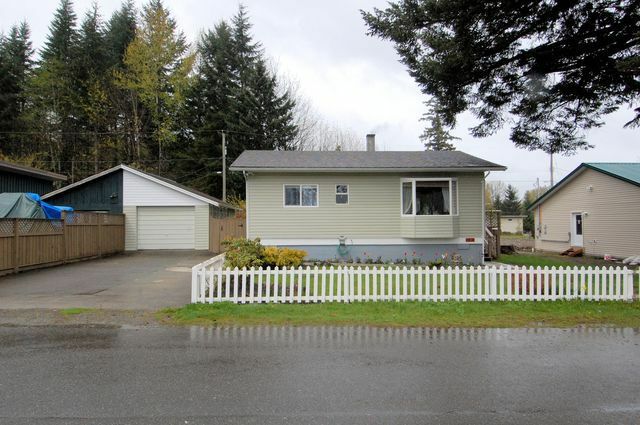 Beautifully renovated 1381sqft rancher with 2 bedrooms, 1 bathroom, a gorgeous kitchen with slide outs and pantry, breakfast nook (with lake glimpses) and a great family room. As a bonus this home also has an 880 sqft unfinished basement with 6'8" ceiling that is great for the handyman, complete with workbench and tool storage. Lined with shelves it is ample extra storage for household items, or a great place to use as a rec room for the kids if extra space is desired. The lush yard is fenced with a veggie garden, 3 fruit trees, a grape arbour, herb garden, and loads of plants and flowers that you can enjoy while relaxing on one of the two decks after a long day at spectacular Cowichan Lake. A detached garage and greenhouse add extra storage. This home is economical to heat with a wood stove, is close to the golf course, park, coffee shop, and boat launch making it an ideal permanent or seasonal home. Close to the bus route and only about 75 minutes to Victoria or Nanaimo. "It's All About You!" Thanks for your business.